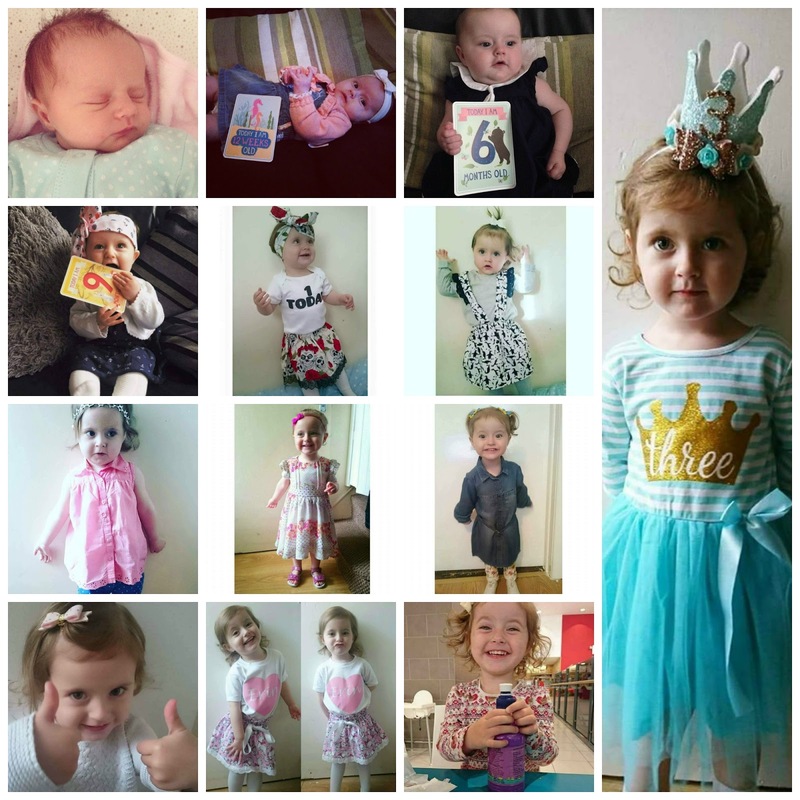 Two weeks ago my darling daughter E turned three. I know I say this every time I write an update on the children but time has honestly flown by and I can't believe that she's officially not a baby anymore. I think it's a bit more bittersweet because although I'm loving watching her grow up, it's hard because she is my last baby. For the first two years of her life we co-slept and absolutely loved it but now she successfully falls asleep herself in her own bed, we've potty trained and she doesn't take a bottle or dummy anymore. Nope, I definitely can't get away with calling her my baby but I'll still do it anyway! Personality-wise, she is amazing. When she was born, her older brother C was just turning two and I remember thinking, "He is just so funny. No other kid is going to compare." Then E came along. She is forever pulling funny faces, putting on accents to make us laugh and even the lines she comes out with have us in stitches. Chris and I make an effort not to push gender stereotypical toys on our children and we let them play with what they like. E is a massive girly girl in the sense that she is obsessed with Disney Princesses and loves to do her hair and make up in front of a mirror. As much as she likes donning a dress, she is happiest in a pair of trainers and leggings or jeans, and pretending to be Wonder Woman or Maria Hill to her brother's Nick Fury. Yep, she's a Marvel and DC Comics lover too. She is very much a diva and can throw a tantrum like no other. I see her huffy face 85% of the day and I've lost count of how many times she told me that she's not my friend anymore. She can be a grump but she is very cuddly and always tells us that she loves us. She and her brother are constantly fighting and bickering but I know that she loves him really and her little eyes light up when he gets out of school and she can't wait to speak to him. E is very into her family. She will always be asking to visit her grandparents and having a cousin who is four months older than her is fantastic. They are like two little old ladies when they get together and it's adorable to watch them interact. They'll always be swapping shoes and holding hands. E has a brilliant imagination and can keep herself occupied quite easily. Even on car journeys, she'll give each of her hands little personas and make them have conversations. She won't really sit still long enough to read a story which is something that I want to try and work on with her but she has a great vocubulary, understands everything and can speak well. I just want to encourage her a bit more before she starts nursery next September. 1 comment on "E, you are three!"